Logitech today announced the launch of Logitech Wireless Solar Keyboard K750, the company’s first light-powered keyboard. The Logitech Wireless Solar Keyboard powers itself whenever there’s light, even indoors, making battery hassles a thing of the past, said a press release. "The keyboard is still the best input device for typing emails and IMs, updating your Facebook page or posting responses to your favorite blogs – and the Logitech Wireless Solar Keyboard K750 is the next big innovation in keyboard technology," said Subrotah Biswas, country manager - India and South West Asia. 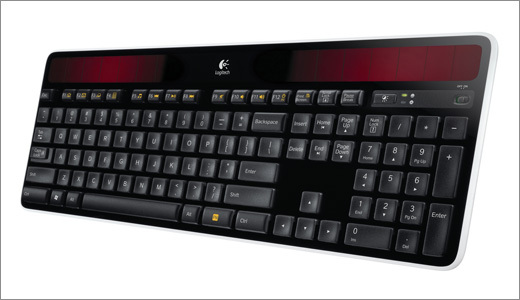 He said the Logitech Wireless Solar Keyboard is powered by light but can work in total darkness for up to three months. “Plus, with its PVC-free construction and fully recyclable packaging, it’s designed to minimize its footprint,” he added. Logitech said the solar keyboard powers itself through its integrated solar panel and no power bricks or charging cables are needed. The included solar power app (available for download beginning Nov. 15, 2010 at logitech.com/k750/solarapp) features a lux meter to help you get the necessary light, makes it easy to get at-a-glance information about battery levels, and even alerts you when you need more power. The company said the solar keyboard, which is only 1/3-inch thick, can be powered by indoor light and stays charged for at least three months in total darkness. 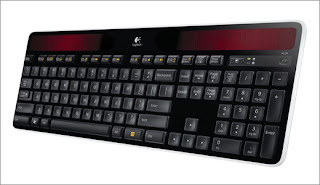 The Logitech K750 will be available in India for a recommended retail price of Rs 5995, the release added.